Starting Thursday, it will be legal under state law for anyone over the age of 21 to possess certain amounts of marijuana in Washington state. It won't, however, be legal for anyone to sell it, or even give it away. Moreover, possession of the drug will still be illegal under federal laws. Marijuana use will exist in a legal gray space in Washington as the state starts to implement Initiative 502, the ballot measure that voters approved on Election Day with more than 55 percent support. Voters in Colorado approved a similar constitutional amendment, which will go into effect as soon as the governor signs a proclamation to officially add the amendment to the state constitution. What's next for marijuana laws? Justice Department: Drug laws "remain unchanged"
As these two states venture into the uncharted territory of marijuana legalization, there are sure to be a number of questions about their new laws. With help from Alison Holcomb, the drug policy director for the ACLU of Washington state and an author of I-502, CBSNews.com answers some of those questions. On Thursday, Washington state law will legalize the possession of marijuana for anyone 21 years or older. Specifically, the new law legalizes possession up to an ounce of harvested marijuana, 16 ounces of marijuana-infused products in solid form (such as baked goods), 72 ounces of marijuana-infused products in liquid form, or any combination of those. "If you are standing on Washington soil and 21 and older, it will no longer be a crime," Holcomb said. "Law enforcement can no longer seize those items from you." Technically, however, possessing marijuana is still a violation of the Controlled Substances Act, a federal law. So far, the federal government hasn't said how it will respond to this conflict. Its options include taking a hands-off approach, enforcing the federal law itself and raiding state-sanctioned marijuana sellers once they're established next year, or suing the states. Holcomb said marijuana use in Washington shouldn't be particularly risky, even though it's a violation of federal law. While possession of marijuana will be legal in Washington state starting Thursday, other significant parts of Initiative 502 -- enabling the state to tax and regulate a marijuana market -- won't go into effect for a while. The Washington Liquor Control Board, with the help of other state agencies, has until December 2013 to establish regulations for the sales of marijuana. "It is an awkward phase where people will be able to possess marijuana but there won't be people who can sell it," Holcomb said. The law was designed that way to put a quick end to law enforcement efforts targeting possession. Over 90 percent of marijuana arrests and prosecutions in Washington state are for simple possession, Holcomb said, while less than 10 percent are for growing or selling the drug. "We know that just as they have been for the past 75 years, people will continue to acquire marijuana here in Washington," Holcomb said. At the same time, she continued, "We didn't want to rush to try to figure out what the licensing and distribution should look like. We wanted to give our state agencies time to bring their expertise." Interestingly, she noted, Washington state law and even federal law do not define buying or acquisitions as a crime. In other words, in a sales transaction, the person committing the crime is the person selling it. Even giving marijuana as a gift remains a felony at this point. In addition to the provision allowing for possession in Washington, parts of I-502 go into effect Thursday to limit marijuana use: The law prohibits the use of marijuana in public settings, and it also sets blood concentration limits for driving under the influence of THC, the active ingredient of marijuana. "For people who are using marijuana, that will be done in private," Holcomb said. On top of that, institutions like universities can, of course set their own rules prohibiting use. Schools like the University of Washington and Washington State University are still barring marijuana use and possession on campus -- it's not worth it for the schools to violate federal law and risk losing their federal funding. When on the road, marijuana users will be prohibited from having more than five nanograms of active THC metabolite per milliliter of whole blood, which is supposed to be comparable to a blood-alcohol level of .08 percent. Once marijuana use is legal for adults, there's the risk that minors will get away with using the drug. A number of I-502 provisions, however, are designed to deter underage use. Washington state is adopting a public health strategy that largely mirrors successful anti-tobacco use programs, Holcomb said. Once marijuana sales becomes legal, retail outlets won't be allowed within 1,000 feet of schools. There will also be tight restrictions on marijuana advertising. Additionally, the state is investing in prevention programs. Deterring use "has much more to do with attitudes and education" than simply barring the drug, Holcomb said. "Prohibiting marijuana for adults is not going to be merely as effective... as other strategies that have proven successful." 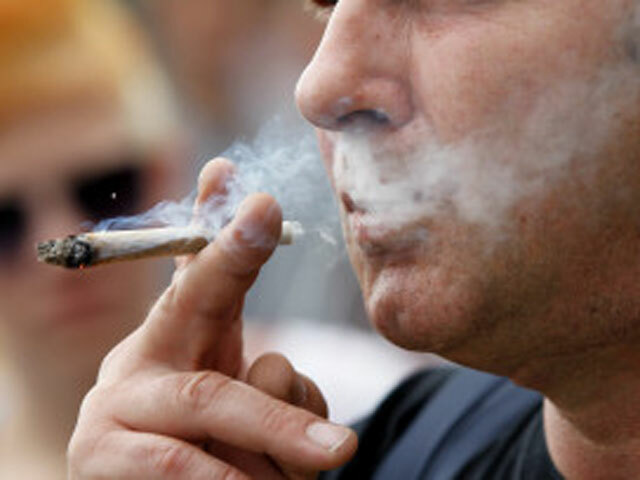 The state will also monitor changing attitudes among youth about marijuana. "We are really paying attention to what the impacts of implementing 502 really are, if we need to take different action with respect to helping protect youths from the risk," Holcomb said. "We'll keep a close eye on it, but nobody knows for sure what will happen."